Restoration Status: KSR & other RL Music Service Partners now undertaking full restoration. Remarks: It’s a real privilege to own this wonderful and rare 1970s vintage analogue Korg PS3200 polysynth, and we’re very happy to be able to offer such an amazing instrument for sale. The PS3200 is a fully polyphonic, 16 memory semi-modular system incorporating divide-down technology driving 2 VCO’s and micro tuning ability. 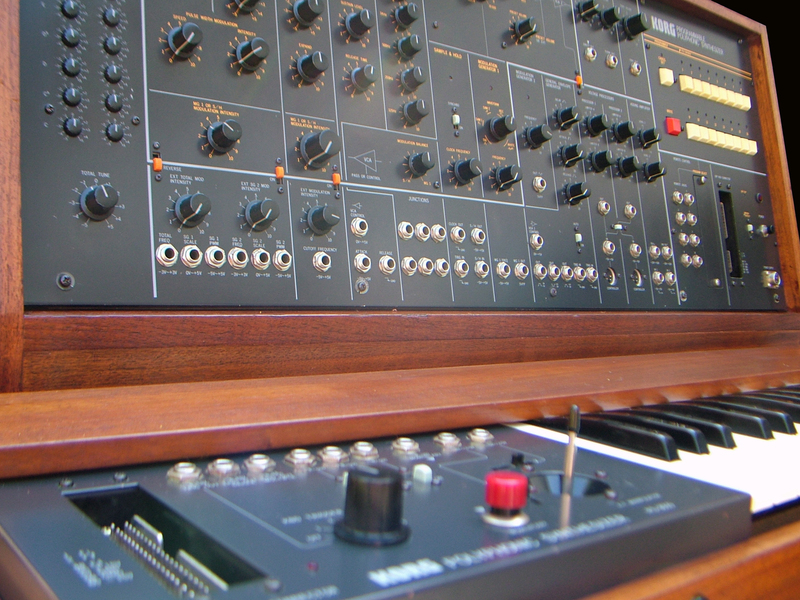 The technical specification aside, this instrument defines the word “ambient” and has the most wonderful warm, rich and charecterful sound that any vintage polysynth can deliver….a truly unique machine. This PS3200 has very recently been extensively operationally overhauled so is in perfect working condition but KSR will fastidiously go over the whole machine for us as it’s being stripped down and rebuilt. Due to it’s age and wear, we are having the panels re-finished on this which includes re-spraing and re-screen printing etc. In addition, we are commissioning Lamond Design to build a new sold Walnut Cabinet (renewable resourced) for the synth and keyboard. This level of restoration is a significant investment in time and resources but for such a rare and historically important synth it’s worth the effort and expense. Once the restoration is complete this will without doubt be the best condition PS3200 in the world. We have also purchased a brand new Kenton MIDI retrofit Kit for this PS3200 which will be fitted as part of the overall restoration work, so this instrument is sold with MIDI functionality. The picture supplied below is from an earlier PS3200 we restored & sold, but we anticipate this next one to be as beautiful as this example. Guide Price Post-Restoration: Guide price (post-restoration) will be £9390 UK pounds. Availability: This Korg PS3200 is now SOLD as at 7th October 2013.